Jen began her real estate career in 2006, joining @properties from the wine industry, in which she used her fantastic communication skills to foster and maintain strong and lasting client relationships. Right away, she became a leader of sales in the Chicago real estate industry. Jen is a Chicago Association of Realtors Top Producer (selling in the top 5% of Chicago Realtors), @properties Top Producer and Road to the Rolex winner, a Top 100 Agent within all @properties offices, Certified Luxury Home Marketing Specialist (Million Dollar Guild), Accredited Buyer Representative and Certified Negotiation Expert. In 2017, she was awarded runner up for Best Real Estate Agent in the Chicago Reader "Best of Chicago 2017" poll from a pool of approximately 10,000 Chicagoland Agents. In 2010, she was awarded with the Agents™ Choice Charitable Service Award by Chicago Agent Magazine and her colleagues. She served on the executive committee of @properties™ Friends and Neighbors Community Fund helping to bring in over $80,000 in the Fund's first two years. She is currently a company member and educator with Barrel of Monkeys (a not-for-profit theatre company dedicated to teaching creative writing in Chicago Public Schools), a member of the Junior League of Chicago, Pi Beta Phi, a member of the Chicago Association of Realtors Ethics and Standards Board, and an active alumna of Northwestern University-- currently serving on the Regional Committee for NU's current capital campaign. Jen's committed and loyal when it comes to her clients”and isn™t afraid to go the extra mile to make sure her clients are happy. The ability to listen is a key component of any profesisonal relationship. She understands buying and selling a home is a big decision, and believes honesty, patience and hard work help get the job done. As one client said, Jen Johnson couldn't do a better job than she did. She demonstrated great professionalism and expertise in her field of work. She is a pleasure to work with and makes herself available at any time! I would equate Jen to Ari Gold from Entourage ... she makes things happen for her client! 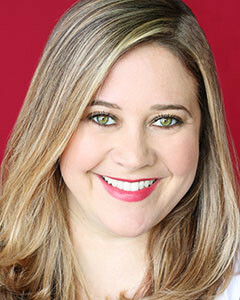 Jen's business partner, Tiffany Moret, enables her to manage her time efficiently, cater to her clients needs, price appropriately utilizing two different viewpoints, and develop her market expertise. Collectively, they've sold over $150 million in real estate. Jen currently resides in Bucktown, has an enormous English Mastiff, is originally from southern Missouri, majored in theatre and musical theatre at Northwestern University and is a huge Razorbacks fan! "I came to rely upon Jen for all aspects of the purchase of my home - that trust was never misplaced. She is exceedingly knowledgeable, patient, and kind. Highly Recommend!"